In April of 2016, lead singer Nicholas Petricca and the rest of rock band Walk the Moon delivered the news that the “Work This Body” tour was cancelled that summer due to the advancement of Petricca’s father’s early-onset Alzheimers. Shortly after this, Petricca’s father succumbed to the disease, and the band seemed to go dark for nearly a year and half. 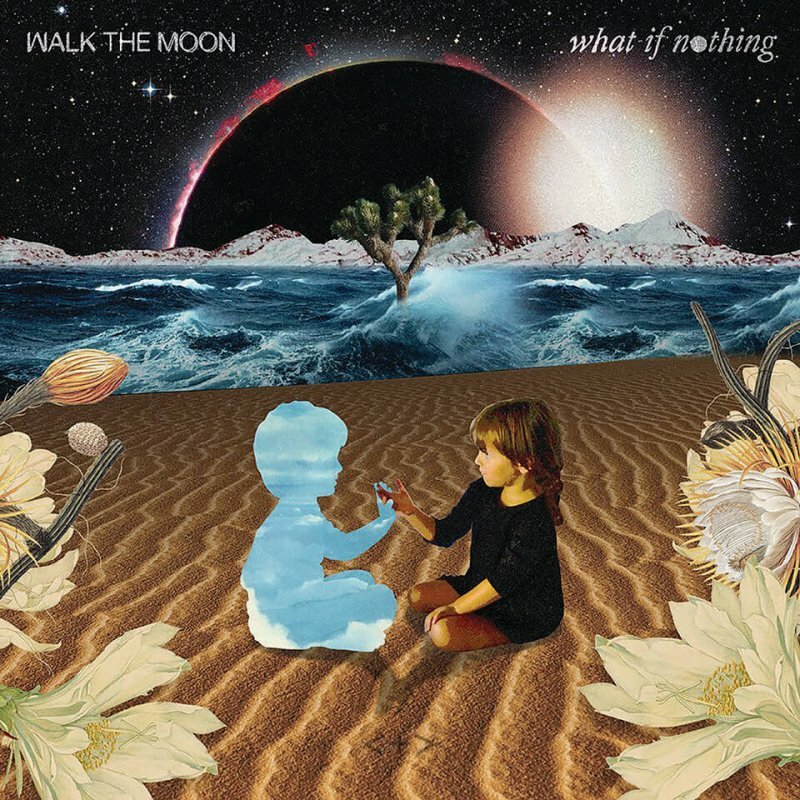 Then, out of nowhere, Walk the Moon released their lead single “One Foot,” and four days later they announced their third studio album, “What If Nothing,” would be released on Nov. 10. The opening track “Press Restart” comes through sounding a whole lot like “Quesadilla,” the opening track of their self-titled debut album with its use of wobbly, dreamy synths accented by stop-start pulsing drumbeats. The song keeps its eyes set on the idea that what may be originally an ending is just a chance to press restart and have a new beginning. The album has a far more self-contemplative lyrical feel to it than past albums, but at same time the lyrics feel emotionally empty somehow. It seems that the album struggles overall to find a single cohesive sound and ends up coming through as an experiment in a bit of everything. Going into the album, the band said in an interview they were looking to hit a U2 style big sound, and they reach it in certain songs such as “Surrender” and “Tiger Teeth.” The only problem is that these songs sound like they lack the bombastic feel that made them who they were, and that’s what hurts the most to me as a fan. I’ve been listening to Walk the Moon since 2013 and I got the chance to see them live in Pittsburgh in 2014. I was in the crowd when they first played “Shut Up and Dance,” and I loved their sound because it felt like the kind of pop music that just wasn’t around at the time. This album says goodbye to the exciting guitar driven pop melodies of past songs and puts more emphasis on the effects heavy delay frenzy that comes from acts like U2 with far slower tempos. It’s danceable, but in a more groove heavy way akin to R&B or 80s alt rock. Probably the worst song on the album has to be the six-minute-long Phil Collins sound-alike “Sound of Awakening.” It’s drenched in heavy vocoder use and simple 808 drumbeats which could’ve been awesome, but the lyrics are preachy and the sound doesn’t change up enough to keep the track interesting. The album comes across as perfunctory, with a hint that they’re selling out to a more pop-centric sound and possibly through rediscovery of self, they have consequently lost what Walk the Moon meant to fans. That being said, it is not an awful album by any stretch of the imagination. I’ve listened to it multiple times and found something different with each listen through which speaks to the multi-layered facets of the songs. In the end, I am just struggling to find that spark that was present on their self-titled album and their sophomore outing, “Talking Is Hard." Overall, even the worst song on this album is leagues better than some of the things that bands under the alt-pop umbrella have been releasing recently. Yes, I’m looking at you, Imagine Dragons. That being said, this is not the end for Walk the Moon. But at this point, they need to press restart and stop surrendering to the talking heads running RCA Records. Roman Sabella can be reached at musics.spectator@gmail.com.